Romance scams have been in the news lately from singles who are members of online dating sites and social networking sites. Every time I hear one of these stories, it breaks my heart. With Valentine’s Day putting extra pressure on dating, it’s extremely important to make sure that singles are doing their research when looking for a date, whether online or offline. Know that online dating safety is of the highest importance here at Cyber-Dating Expert. As a result, I’ve become a Spokesperson for Spokeo, an online search service which provides publicly available data to help you research your dates. 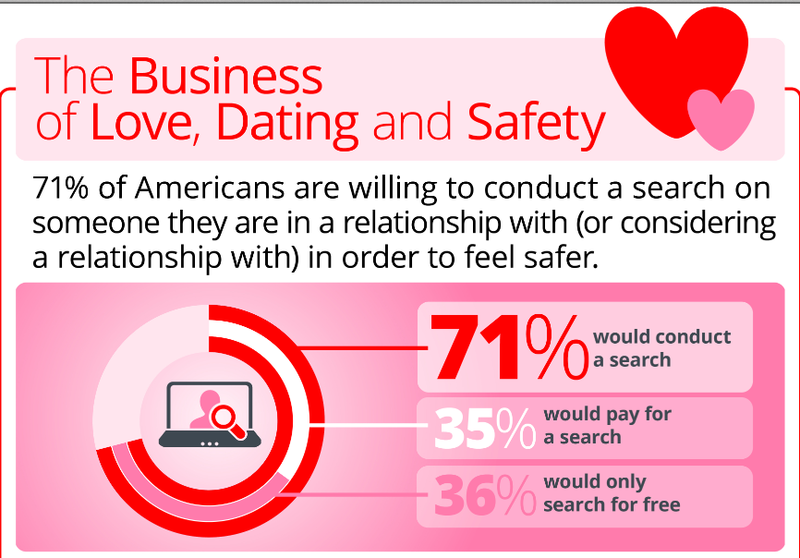 New research provided by Spokeo and Harris Interactive was just released which shows that 71% of Americans are willing to conduct some kind of informational search about the person they are dating. This tells me that singles are taking dating safety very seriously. 2. Those involved in perpetrating a romance scam want to take the conversation off the dating site quickly and onto a private chat or instant messenger service. This avoids having the conversations documented or traceable by the dating site?s software. Until you’re sure about your date, keep the conversations on the dating site. 3. If he or she says they’re in love with you very quickly, don’t jump for joy just yet. Romance scammers often will say they’ve never felt this way before about anyone before and they’ve waited their whole life to meet you. Their grammar often isn’t correct and they have an accent if you speak to them on the phone. Know that you can do a simple search of your potential date’s email address, phone number, or even user name by going to Spokeo.com. Happy safe dating this Valentine’s Day. Enjoy the Infographic below and feel free to share this with all of your single friends. Wishing you much love and joy in cyberspace, or wherever you may roam.Julie Spira is an online dating expert and was an early adopter of Internet dating. She creates Irresistible Profiles for singles on the dating scene. For more online dating advice, follow @JulieSpira on Twitter and sign up for the free Weekly Flirt newsletter. As a guest on FOX 11 in Los Angeles, I spoke with Phil Shuman about some of the Internet dating safety tips and advice that I recommend for singles looking for love online. At the end of the digital day, there are a lot of terrific people joining online dating sites. You just be able to find your match. Julie Spira is an online dating expert, cyber-relations expert, and author of the bestseller, “The Perils of Cyber-Dating: Confessions of a Hopeful Romantic Looking for Love Online. Visit her at CyberDatingExpert.com, where you can sign up for the Weekly Flirt dating advice newsletter. Follow @JulieSpira on Twitter and Facebook.com/CyberDatingExpert. Online dating has just taken a big leap to help singles feel safer while looking for love on the Internet. This week, Kamala D. Harris, the Attorney General for the State of California released a joint statement for online dating safety practices to help singles feel safer while looking for love online. Online dating sites eHarmony, Match.com and Spark Networks signed the agreement together, which will require sites to provide dating safety tips and do the necessary background checks to as agreed in the statement. On our site, CyberDatingExpert.com, you’ll now see a link for SAFETY on the top of our home page. We want you to fall in love and we want to help you find your dream date. We also want to make sure that you’re following our safety tips as we take this topic very seriously. In a recent interview on GenConnect TV, I discussed some dating safety tips that you should take to heart. Most singles want to love and be loved. In the digital dating world, you’ll have the opportunity to meet a variety of singles when your friends are no longer setting you up. In an interview on KPSP, Channel 2 in Palm Springs, I spoke with Arti Nehru about my top online dating safety tips and advice for cyberdating safety. Remember to meet in a public place. Sign up for Google voice and have your calls forwarded to your cell phone. At least once a month I am contacted by someone in the media to talk about online dating safety. It’s a hot-button for me and I spend an inordinate amount of time making sure that singles are safely looking for love online. Over the weekend, The New York Times posted an article about the latest background check services available for online daters. The piece, written by Stephanie Rosenbloom, New Online-Date Detectives Can Unmask Mr. or Ms. Wrong, discussed a variety of services have popped up on the Internet to check out your date before you mate, or even before you click reply to his or her latest email. Sites such as MyMatchChecker.com, ValiMate, Date Check make it easier to check out your date during the courting stages. One should realize that these services are not limited to online dating. You should use the same common sense methods for offline dating. The bottom line is, you should trust your intuition and take your time. Still, the question is being asked of me on Twitter daily since the Times piece and subsequent follow up article on Forbes.com, The Perils of Online Dating and Talking About Broken Marriages with the New York Times posted by Kashmir Hill. There’s a reason my book is titled, The Perils of Cyber-Dating. As a smart woman and successful Internet executive during the dotcom days, I was too busy to check out the man I married and later divorced. 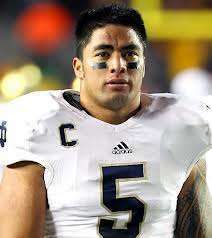 Had I done a background check on him, I would not have married him. It was time to turn lemons into lemonade and pay it forward. So here is my take on To Check, or Not to Check your date out thoroughly in advance. 1. Do a simple Google search, but don’t discuss it on your first date. 2. Use your intuition and see if his or her stories add up. Do they work where they say they do? Do the communications via email and phone match up to who you believe you are scheduled to meet? If not, take a pass. There will always be another email in your inbox. 3. Go ahead and search if you must, but remember, not all of the information is always accurate. 4. Where there’s smoke, there’s fire. Everyone is bound to have something that doesn’t check out well. Perhaps he or she has bad credit due to the economy or a recent divorce. There’s no need to toss them out just yet if that is the case, but if you see a series of lawsuits piled up under his or her name, you might have reason to be concerned. More women are in favor of doing a background check in advance of a first date to make sure he isn’t “Married,” or “Separated, Divorce Pending.” Finding out your date is a felon is something you must know, but worrying that each date could be with a felon will actually be counter-productive to your dating process. Most men are worrying that the woman won’t look like her photos. Yes, men are visual. It’s at the top of their list. As far as online dating sites being required to have a background search on each member, I am in favor of them providing the option for each member to do a background search from an outside company. My big concern is that if the information isn’t accurate, someone will blame the Internet dating site and more lawsuits will arise. I do believe each site should have an advice section on online dating safety. Whether commonsense or not, when it comes to matters of the heart, all bets are usually off when love and chemistry are involved. Better safe, than sorry. I have contributed to the following online dating safety articles to help you feel safe at home, or at least on that first date. Feel free to read and comment. ABC News – Should Online Dating Sites Be Required to Do Background Checks? Examiner – How Safe is Your Date? Online dating is a fun and flirty way to meet a lot of people. If you’re ego has recently been bruised from a breakup or you just haven’t been in a relationship for awhile, before you get started, read my Top 5 cyberdating safety tips to make sure you’re dating safely while looking for love online. 1. Always meet in a public place. Having a home cooked candlelight meal may seem romantic on the phone or in a text message, but in real-life, you may be headed towards the bedroom prematurely. Whether it’s coffee, lunch, or a walk in the park, pick a place where others will see you. If you need to yell for help, you’ll have the chance to be heard. 2. Don’t give out your home phone number. Phone numbers can easily be traced to your home addresses. If your date goes south, the last thing you want is to have a stalker at your door. 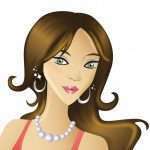 Give out your cell phone number and keep your exact home address to yourself until you get to know your date better. 3. Don’t talk about finances. Conversations with someone you are meeting for the first time should be light and friendly. Don’t reveal banking information or let them know if you are about to receive a large bonus or an inheritance or you might find your date has ulterior motives. 4. Get your friends involved. Create a buddy system where you always tell a friend who you are going out with on a first date. Provide the screen name, site you met your date on, and the name of the restaurant. Check in with your friend during the date. Let them know you are fine, or if you are uncomfortable, just leave. You don’t need to explain why you are leaving. 5. Trust your intuition. Your instincts are usually good. If someone is changing plans last minute and suggests a late night date or convinces you to meet at their home, take a rain check. These online dating safety tips are mostly common sense, but sometimes your judgment can be impaired when you’re thrilled with the excitement of your new date. Apply these rules to those you meet offline as well. Don’t get caught up in the romance and end up in trouble. You really don’t know who is hiding behind their computer screen. I received an email in my Inbox today from JDate?, the largest online dating site for Jewish singles ?announcing their new all-block feature. The email simply said, “JDate’s Got Your Block.” It was a catchy email and got my attention. Now at the bottom of each online dating profile on their site, you have the ability to say goodbye forever to the bad date or former beau who broke your heart while looking for love online. 1. You pull up a profile of someone you are interested in blocking. 2. At the bottom of the profile, it will say Report a Concern and the word Block. 4. Click Submit and you’re done. Voila! You have erased that person from your search and from contacting you, should you desire. Should you use their blocking features? I think it’s terrific that you are given a choice of options. ?From putting one toe in to the entire 10, the selection is up to you. Naturally, the person you have blocked may realize you have done so, but dating should be about a matter of choice. If you’re uncomfortable, then go ahead and block someone. If you want to leave the door open for future communication, then I suggest you don’t block him or her. They won’t be happy to see you have done so. For those who haven’t been able to get over their ex and are obsessively looking at their profile, this feature is for you. At the end of the day, you’ll want to enjoy your experience and find someone to meet online rather than spend time on deciding which profiles you should block. Will you use their blocking feature? Comments are always appreciated.